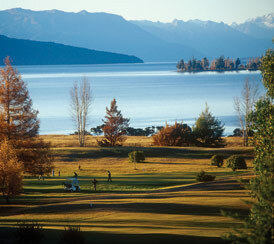 Te Anau is set in the heart of unique Fiordland and is only a short drive from Invercargill or Queenstown and a variety of alternative transport options, making it an easy destination for your family and friends to get to. Fly to Queenstown or Invercargill with Air New Zealand, Jetstar or Qantas and connect with a coach service or hire a car. There are bus services from all of the major centres of the South Island connecting with Te Anau. Intercity, Tracknet, Newman’s and Topline operate services in this area. Te Anau is easily accessed from New Zealand’s scenic Southern Lakes towns of Queenstown and Wanaka, with a driving time of 2 hours from Queenstown and 3 hours from Wanaka. The Southern Scenic route from Invercargill will bring you to Te Anau in 2 hours, or from Dunedin your journey will take approximately 3 ½ hours.